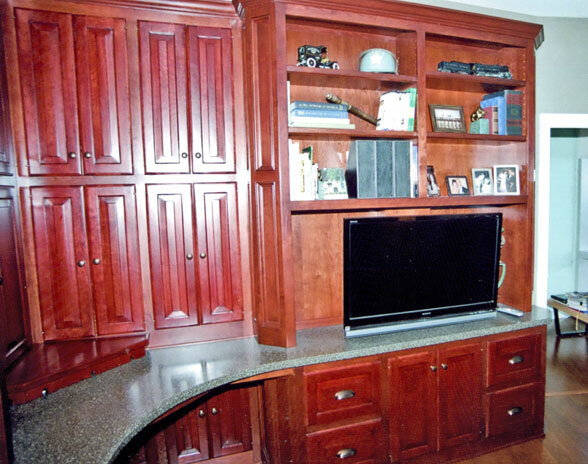 Form and function come together with Randall Cabinets & Design office cabinets. 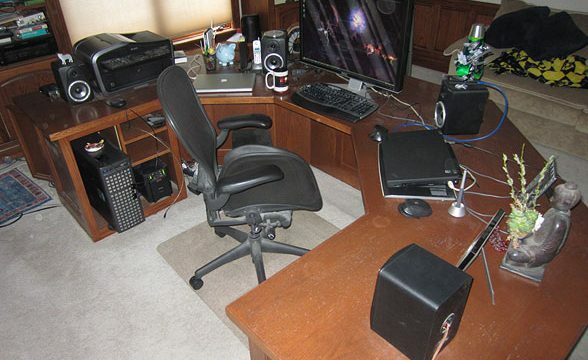 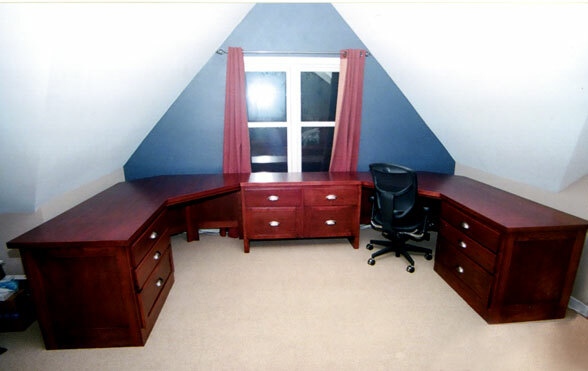 Emphasis is on the working area to utilize the given space to allow for a smooth work area. 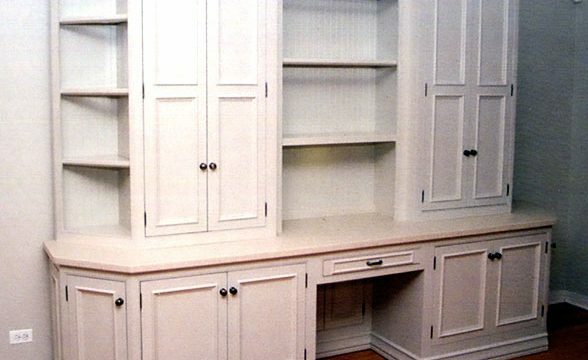 A must for today’s office cabinets are proper placement of pull out drawers, hanging file bars, cubby holes, pull out shelves for the printer, grommets to allow for wire management in a cabinet that can stand up to regular use. 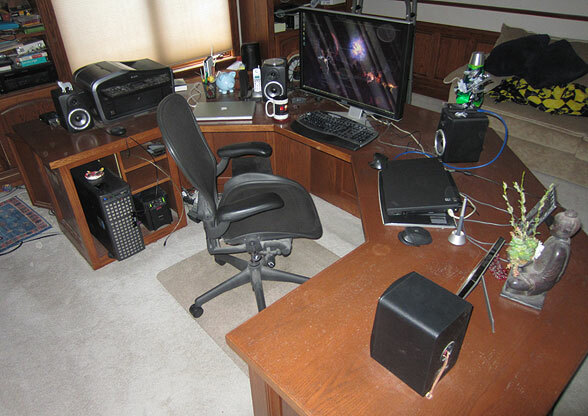 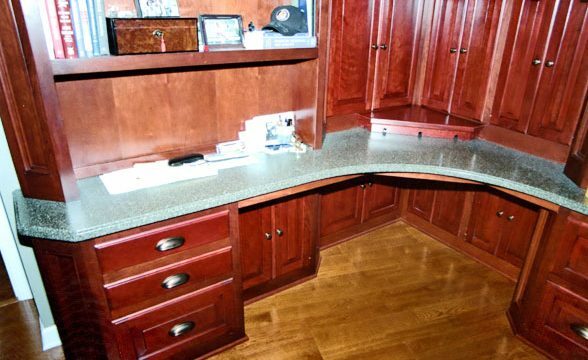 Some office pieces are designed and built to be freestanding to allow for rearrangement in the room or, when the time comes, to be moved along with the family to a new home. 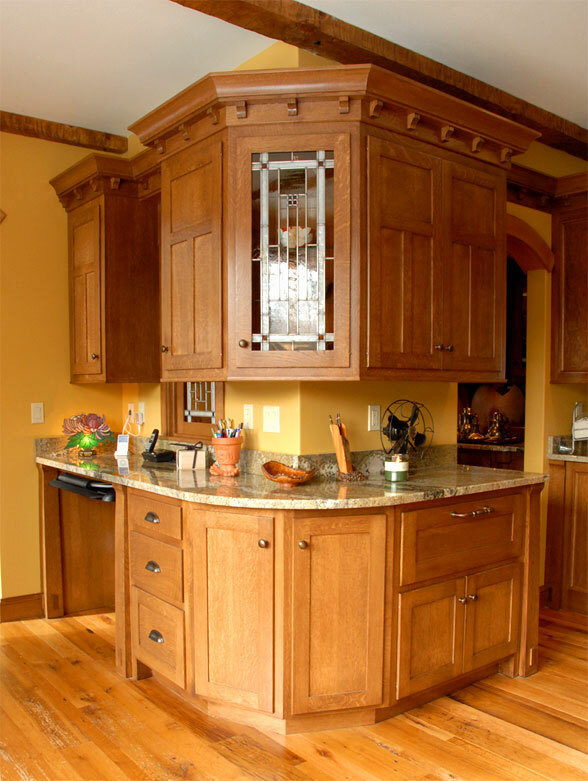 Many times our creative designs have become a piece that will be handed down in families and cherished for generations. 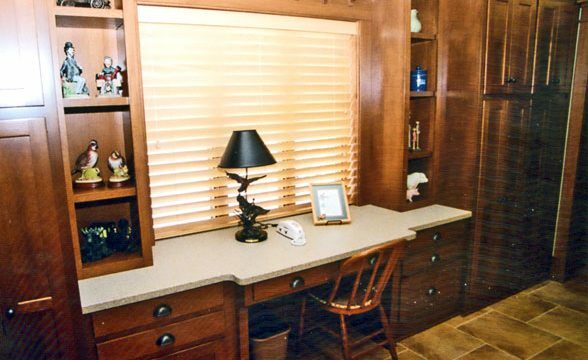 Built-In custom office with granite countertops. 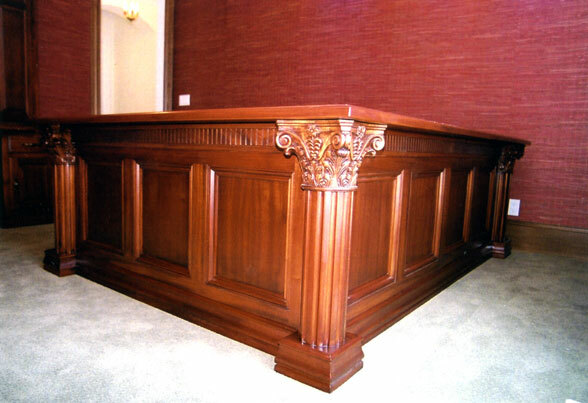 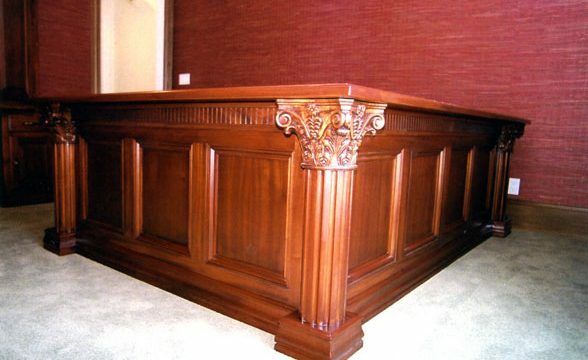 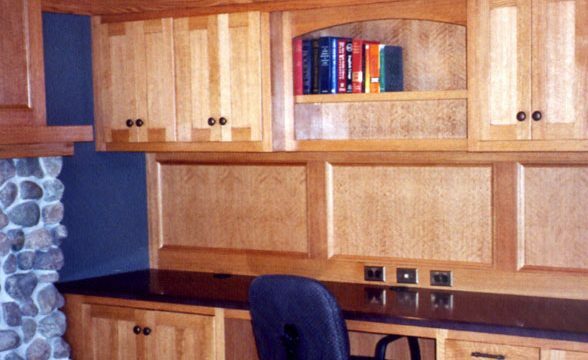 Fine woodworking details by Randall Cabinets and Design adorn this custom desk. 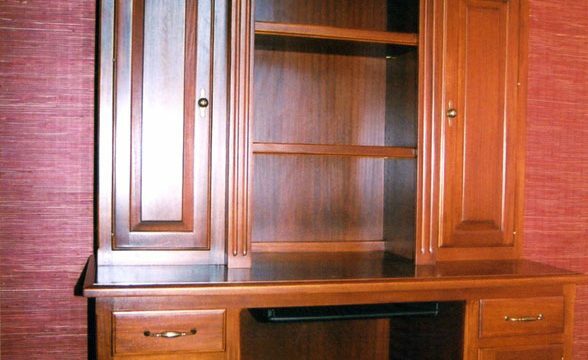 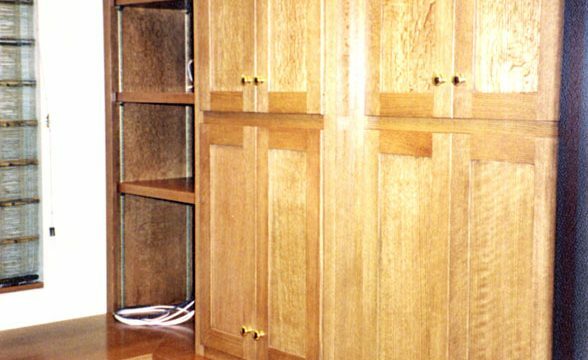 This classic cabinet will transform your home office. 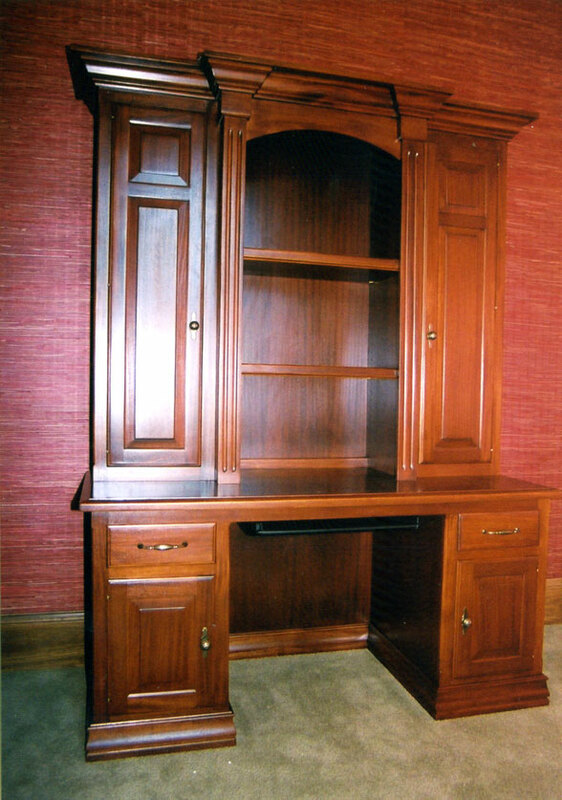 This bookshelf unit with desk feature clean lines and fine craftsmanship. 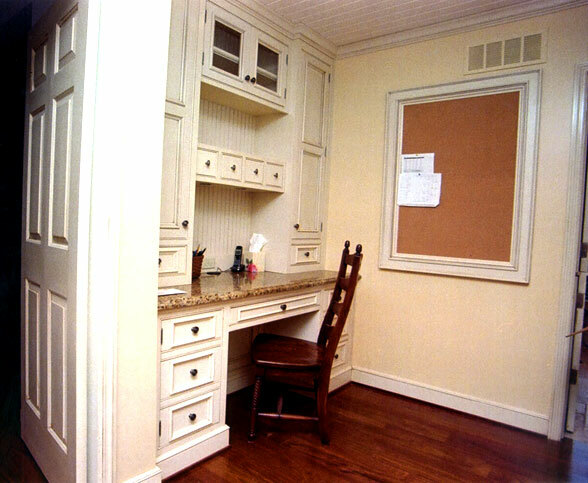 Randall Cabinets custom home office. 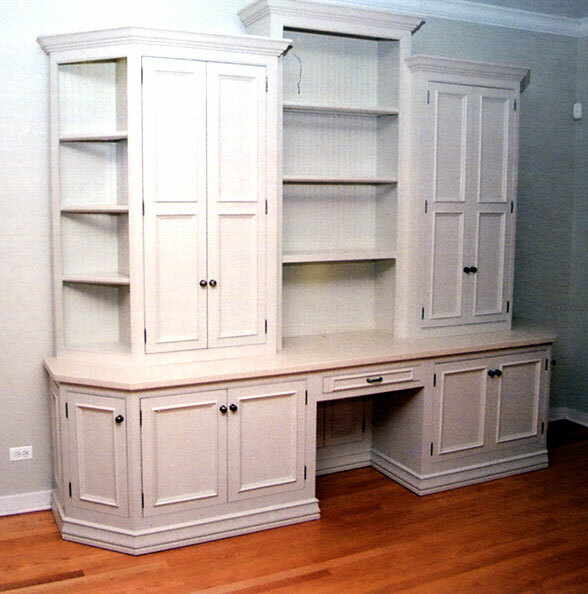 Custom wrap-around design by Randall Cabinets & Design. 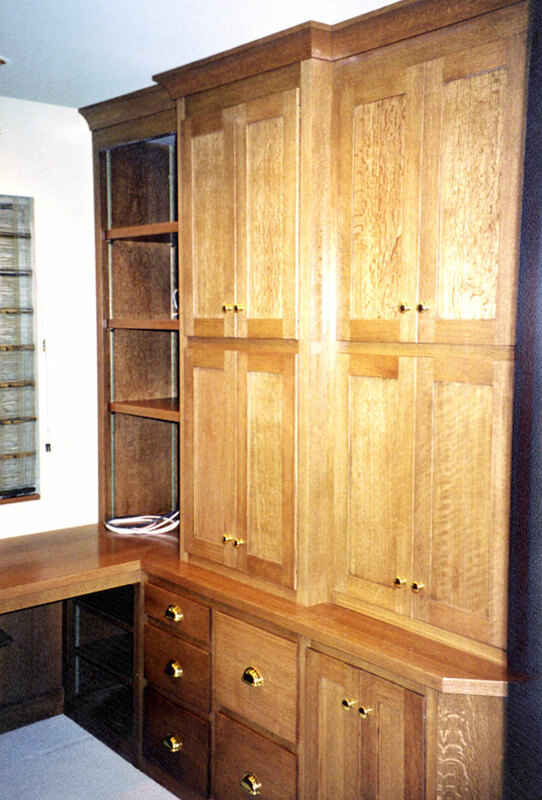 This modern desk space design showcases light oak tones. 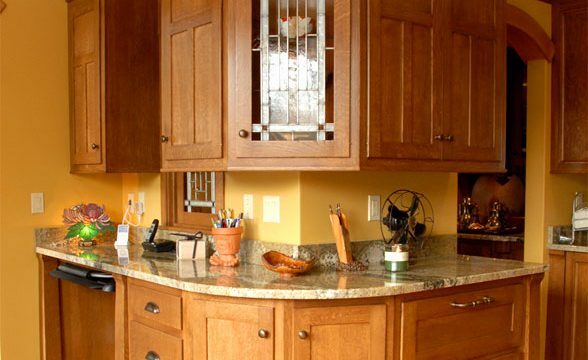 Custom design and countertops by Randall Cabinets & Design. 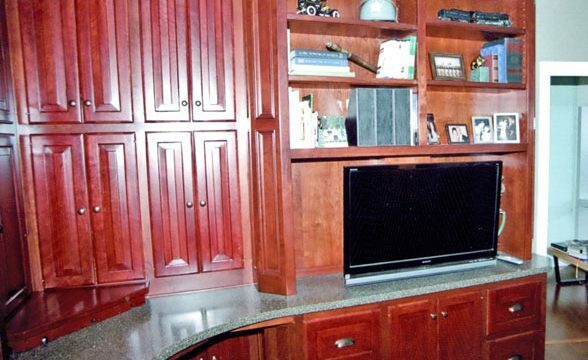 Combine your home work space with an custom entertainment center. 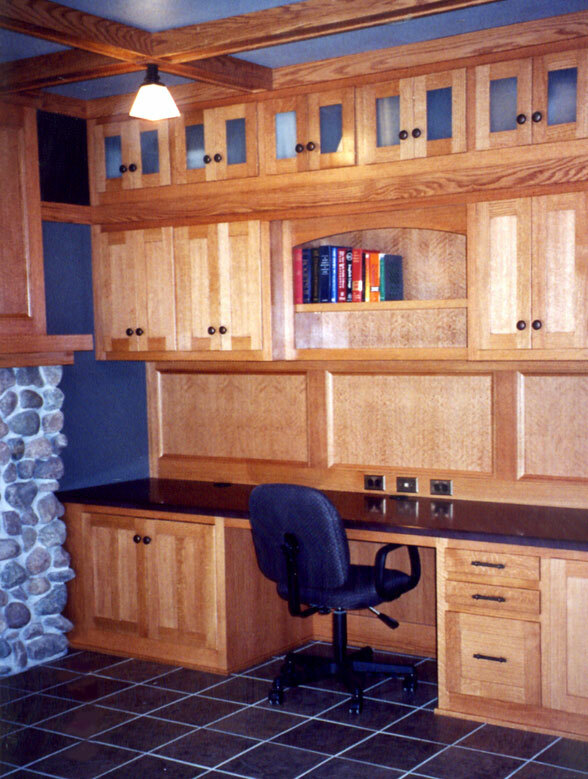 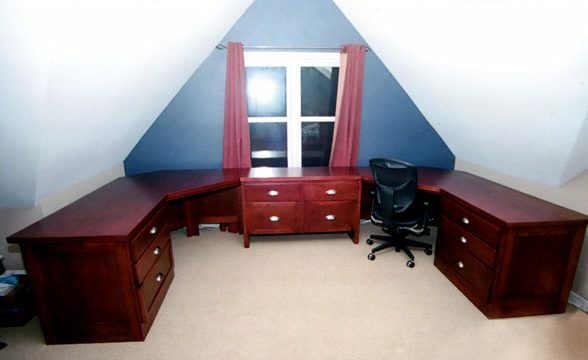 Fine woodworking details complete this home office space. 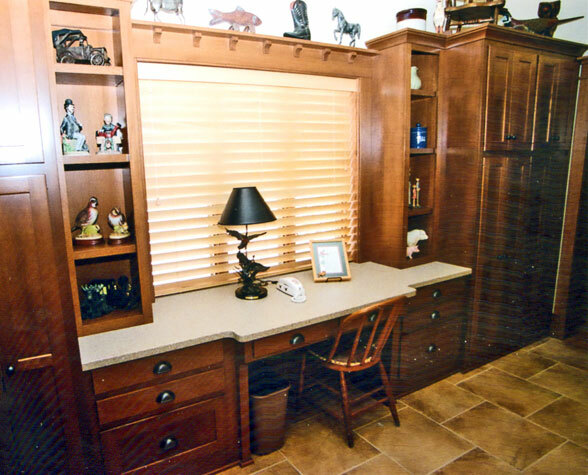 Add elegance to your office space with leaded glass and granite countertops. 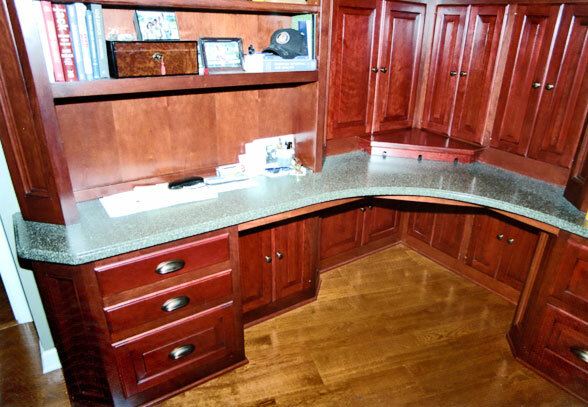 Surround yourself with fine hardwoods with this solid, classic custom desk.